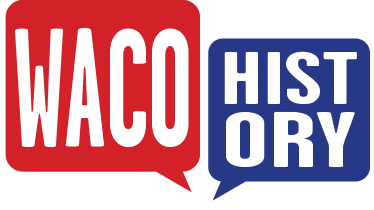 Waco entered an economic slump in the aftermath of the 1953 Waco tornado, urban renewal in the 1960s, and the Austin Avenue Pedestrian Mall in the 1970s and ‘80s. Many businesses either moved or closed their doors permanently during this time. 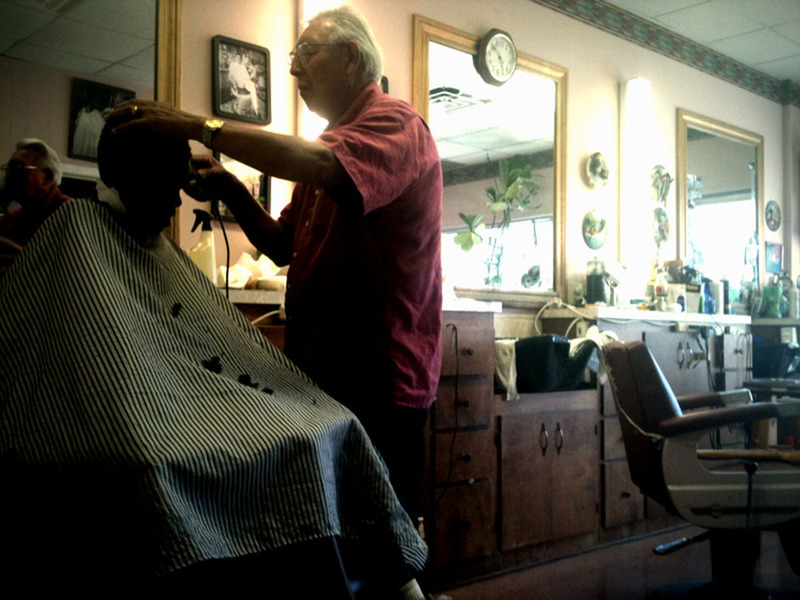 Yet one business thrived during the downtown economic collapse—Tito’s Downtown Barbershop. 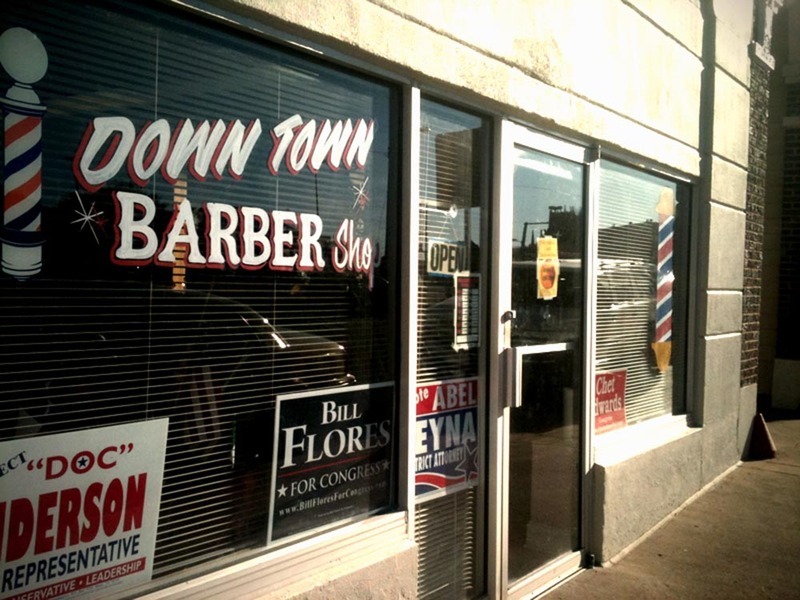 The barbershop survived because its owner, Santos “Tito” Martinez, provided motivation for customers to come downtown for haircuts through his customer service. For Tito, cutting hair is not merely a means of employment, but also the art of human interaction. His dedication to his customers is the reason why his barbershop has flourished. Tito entered into the barber trade in 1957, at the age of twenty, following a brief stint with the former William Cameron Company. “Get in. It’s good. You’ll learn something,” Tito recollected his friend, Joe Gutierrez, saying while trying to persuade him to enter the Waco Barber College as he was walking one day. After six months of training and a brief trip to Austin for the examination, Tito began cutting hair professionally at a barbershop on South Third Street on the city square. Yet the United States government had another plan for Tito. Just eight months after beginning his new trade, the US Army drafted him as a medic to serve in Korea during peacetime operations. Though his situation had changed, Tito continued to practice his barber trade while in the service. Following his discharge in 1961 and a brief stint working in a barbershop owned by Manuel Cruz on Jefferson Avenue, Tito found a new home for his own barbershop on Austin Avenue between Third and Fourth streets. 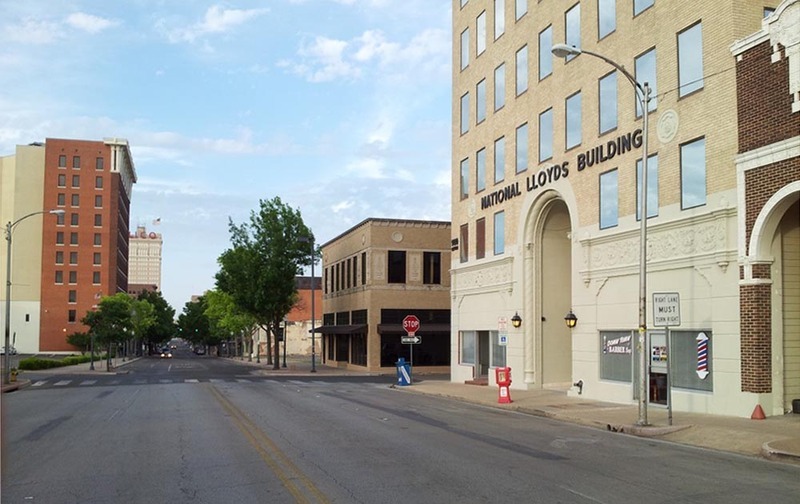 Nearly seven years later, he moved to his current location in the National Lloyds Building located near the corner of Austin Avenue and Ninth Street. Inside his current barbershop, numerous photographs of people hang along the walls, small black-and-white testimonies to the many relationships Tito has formed over the years as one of Waco’s longest-serving barbers. A majority of these photographs are of his family. He frequently enjoys sharing his pride for them and the joy they bring to his life with his customers. There are also two small oatmeal-colored business cards that rest inside the bottom left corner of his mirror. They are among Tito’s most cherished items. Written on the cards are the names of Lyndon Lowell Olson Jr., former United States Ambassador to Sweden, and the late Bernard Rapoport, famed philanthropist and founder of the American Income Life Insurance Company. Tito considers each of these men to be among the many friends he has made over the years. Tito recalled, “Some people say, Well how come you don’t have appointments? And Mr. Rapoport and Lyndon says, What do you want an appointment for? You sit and talk and enjoy yourself.” Both of these men understood that you came to Tito’s Barbershop primarily for a good chat and then a haircut. Tito has no intentions to quit his beloved occupation anytime soon, planning to continue his conversations and haircuts for years to come. He and his barbershop serve as a testimony to the way in which some businesses were able to weather tough economic times through their dedication to customers and the community. 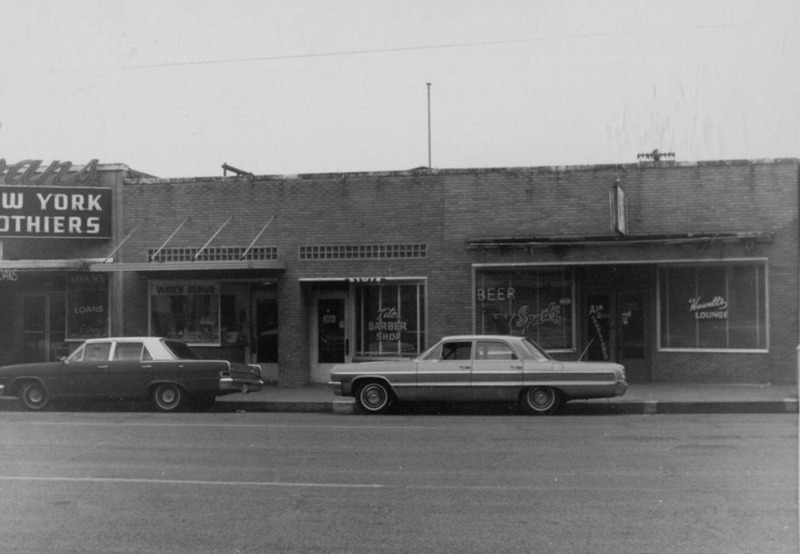 Street View (312A Austin Avenue) : Tito rented a storefront near Waco City Hall for nearly seven years until urban renewal forced him to relocate. It is likely that the watch repair shop and the lounge adjacent to Tito's helped attract additional male clientele. Joey's Spot: Many personal photographs and decorative touches still occupy the mirror where Joey, a former Tito's barber, once cut hair. Tito saw no reason to change anything after Joey left the barber trade for health reasons. The Mirror now serves as a living memorial honoring his former employee. 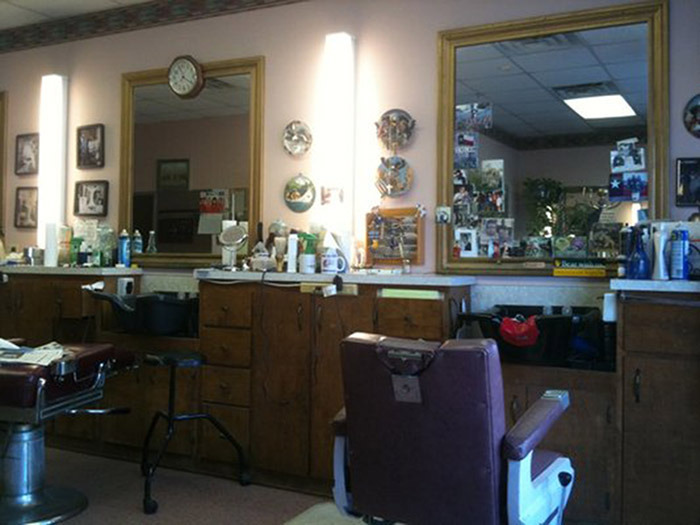 ~ Source: Image courtesy of yelp.com ~ Creator: Dmitry O.
Michael Woodward, “Tito's Downtown Barbershop,” Waco History, accessed April 26, 2019, https://wacohistory.org/items/show/42.